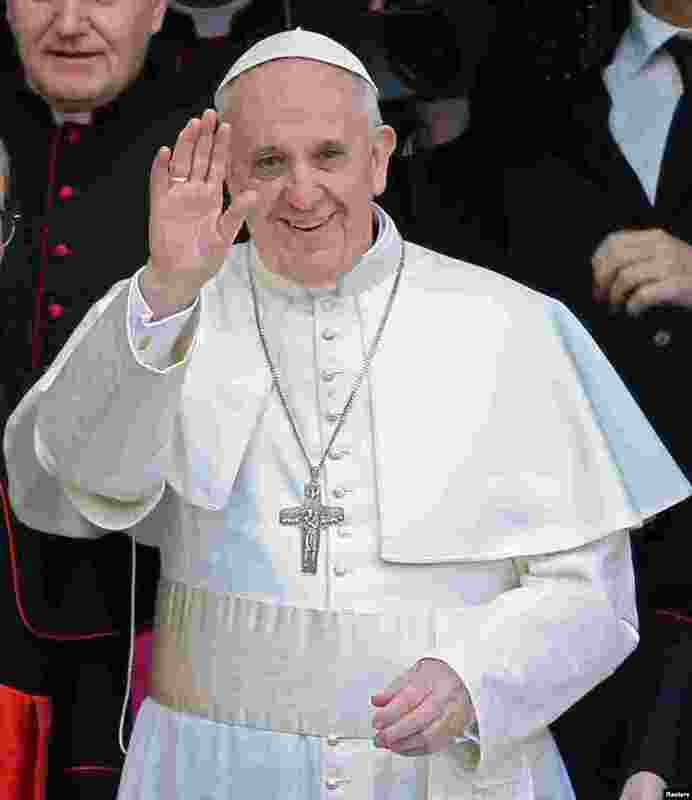 1 Newly elected Pope Francis, Cardinal Jorge Mario Bergoglio of Argentina, waves as he leaves the Santa Maria Maggiore Basilica in Rome, Italy. 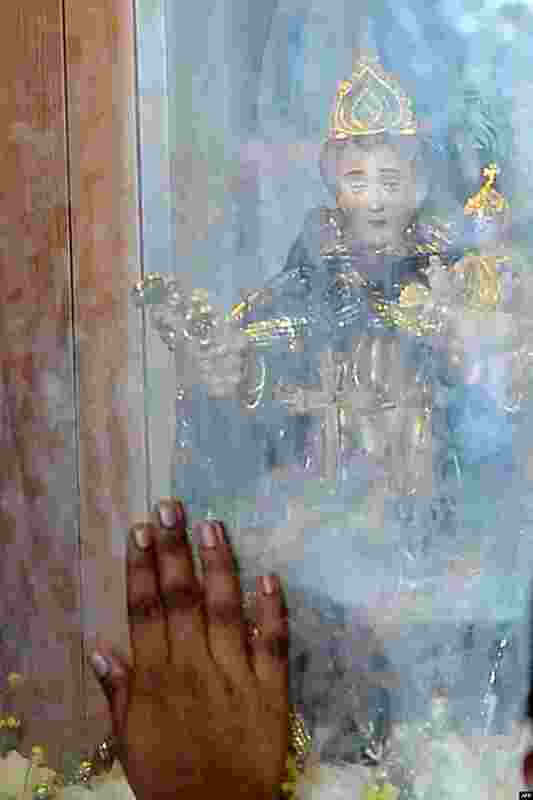 2 A Sri Lankan Catholic touches the glass near an idol during a mass at a church in Colombo. 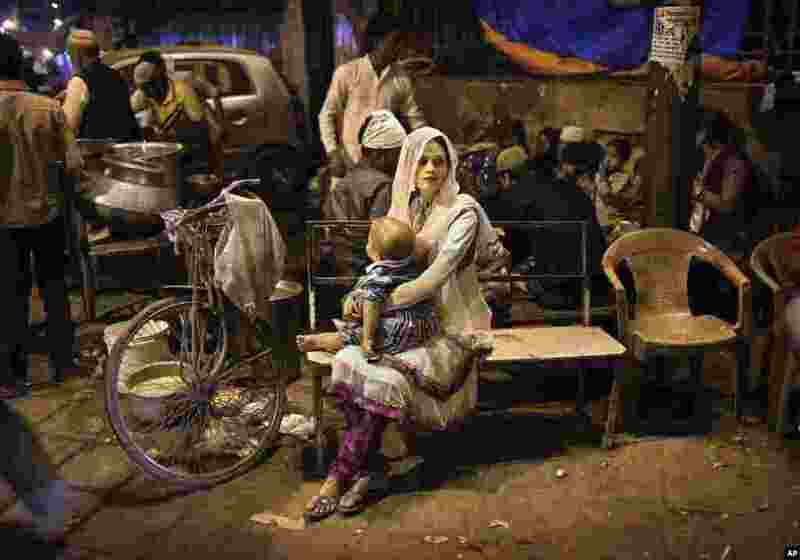 3 An Indian Muslim woman holds her child as she waits on a bench at a food stall in New Delhi. 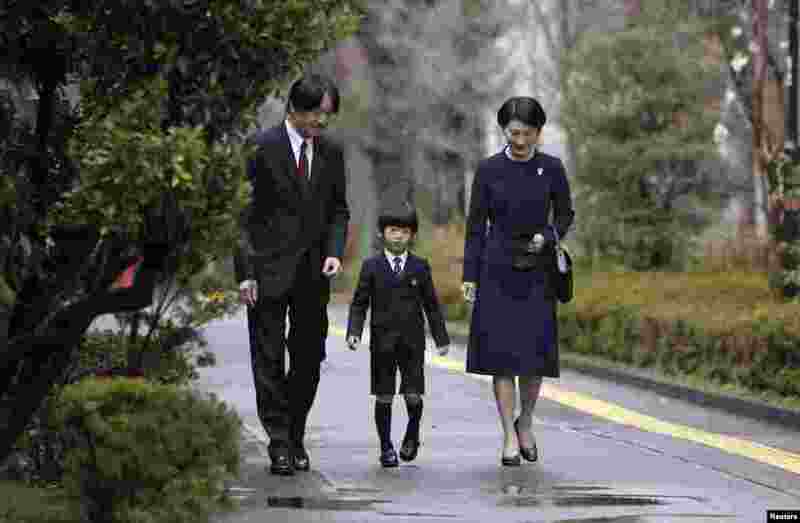 4 Japan's Prince Hisahito (C), accompanied by his father Prince Akishino (L) and mother Princess Kiko, arrives at Ochanomizu University's affiliated kindergarten for his graduation ceremony, Tokyo.